with your drain services get in touch today! We offer fast response, competitive priced drainage services across Cornwall and Devon. We offer drain unblocking, septic tanks, surveying, repair and maintenance. At South West Drains we offer fast response, competitive priced drainage services across Cornwall and Devon. We are a family run business that takes pride in the fact that we can solve a problem with your drain no matter what time day or night. One of our local engineers will come out with a time that suits you we work 24hr. Our professional and experienced engineer will come out swiftly to fix the problem. You will get a locked price and free no obligation quote there and then. Our qualified engineers will carry out the work and make sure everything is in working order. 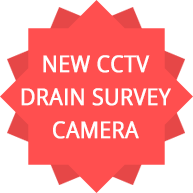 "I am writing to Thank You for your prompt service to my property last week, I have previously used another drain company who did not take the time and effort and pride that you did when coming out. I was very impressed with the cleanliness of your work and how you were interested in resolving this problem for me. Thank you again. I will be recommending you, and using you again myself in the future." Here at South West Drains, our drainage engineers all hold the necessary Health and Safety certificates, CSCS Cards and regularly update all jetting qualifications with the Water Jetting Association. Engineers also have full clear Criminal Records Bureau checks.